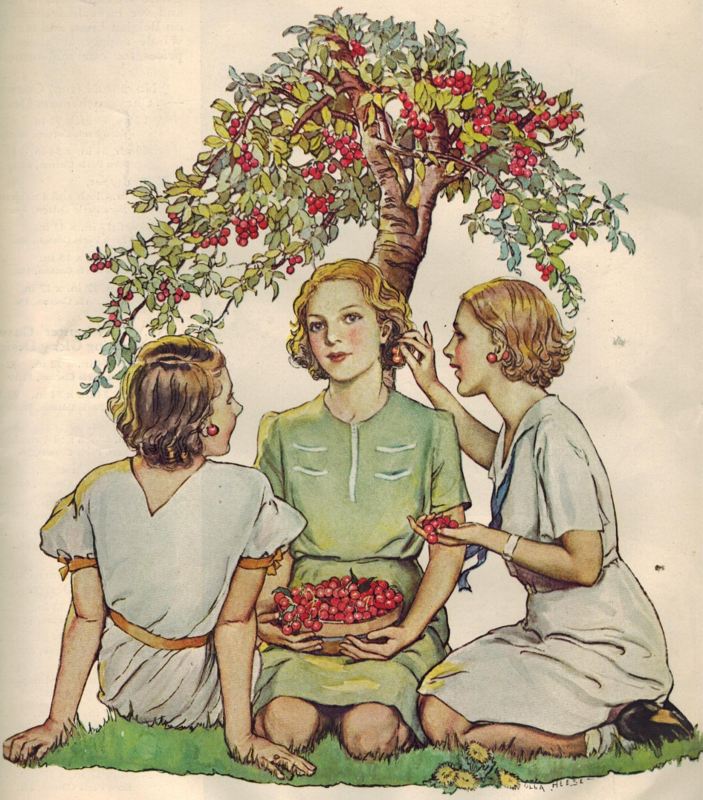 The Midvale Cottage Post: Is Life a Bowl of Cherries? It is cherry season now - what a wonderful and delicious fruit - completely irresistible! This endearing drawing is from the cover of Home Arts, August 1939. Cherry earrings anyone? Oh how fun! It looks like they hung a pair of cherries over their ears for earrings! I remember doing something similar (I don't remember with what) as a kid.